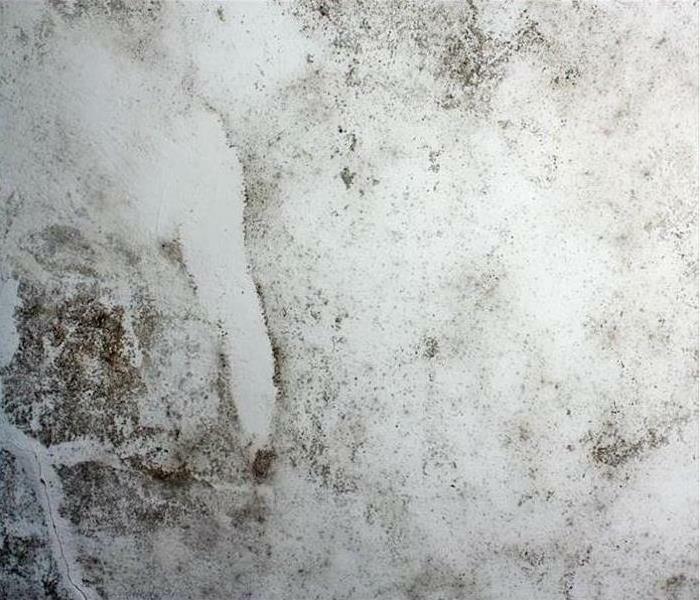 Pictured is a close up photo of black mold damage on the wall of a Charlotte home. Black mold can pose health issues for residents of the home, so it is important to have the mold cleaned up and treated by professionals such as SERVPRO of South Charlotte. 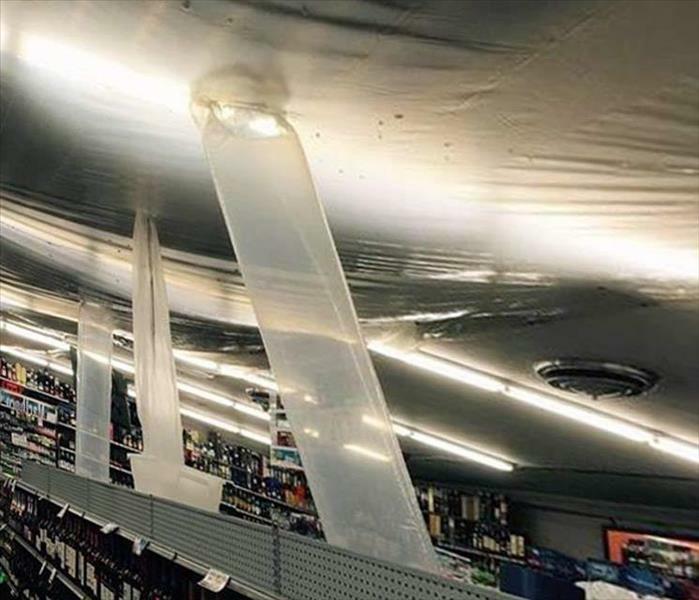 The large volume of water saturated the wooden roof of this retail store in Charlotte. We set up dehumidifiers with a seal on the damaged ceiling area to draw out excess moisture. 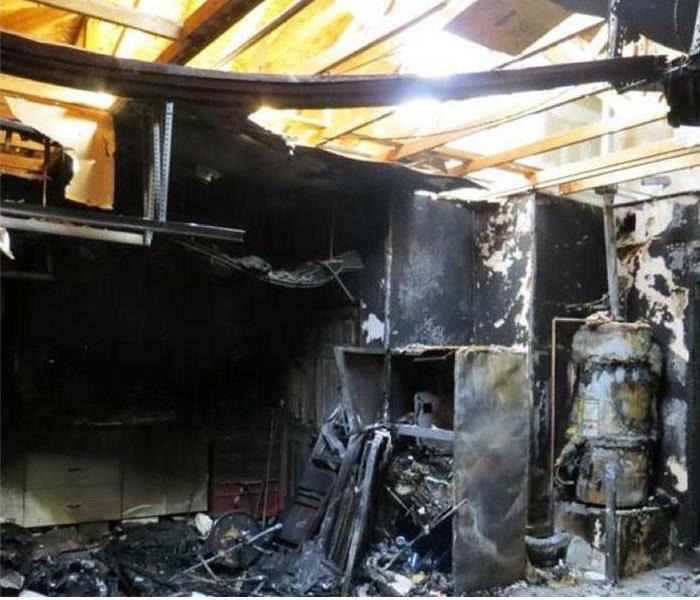 It was an unusual storm damage result, but our SERVPRO techs came up with a good solution. 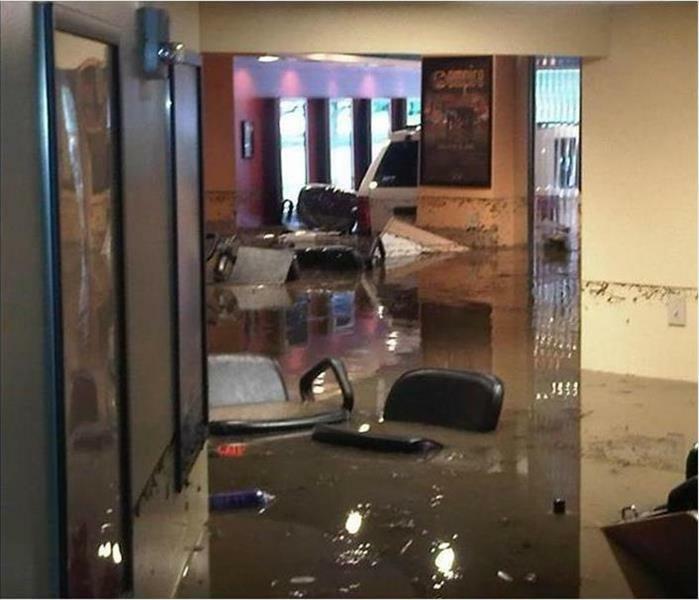 The recent storm sent a large amount of groundwater into this lower level office building creating a muddy mess. We used a truck-mounted pumping system to remove the remaining standing water, which was still a high volume before we could start the demo leading to storm damage restoration. This photo depicts significant fire damage to this Matthew garage which was fortunately not attached to the house. Our SERVPRO technicians carefully disposed of the non-salvageable items and carted them away according to local codes. We then focused on restoring the garage to its pre-loss condition. Storm damage to this Charlotte hotel was caused by a band of thunderstorms carrying high winds. Several rooms were drenched from roof and window damage which allowed the rains to enter the rooms. We worked around the clock to clean up the water and repaired the damage to the building. The property owner was grateful for the efficiency our crews brought to the project. Water Damage at South Charlotte damage sites is not always visible to the naked eye. 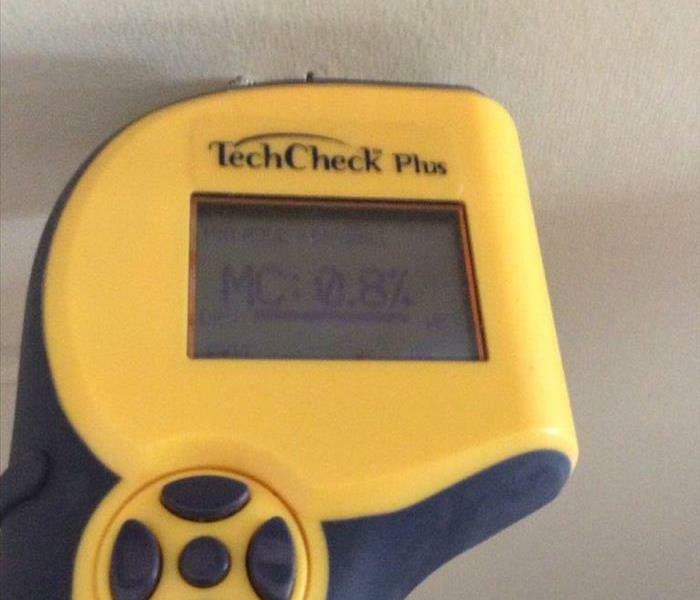 Pictured here is a TechChek Plus. This device, which is manufactured by the Delmhorst Instrument Company, provides restoration technicians a method to accurately identify the scope of damage to the building components when water damage has entered the picture. It aids in saving time and money. Customers and insurance companies favor those benefits. 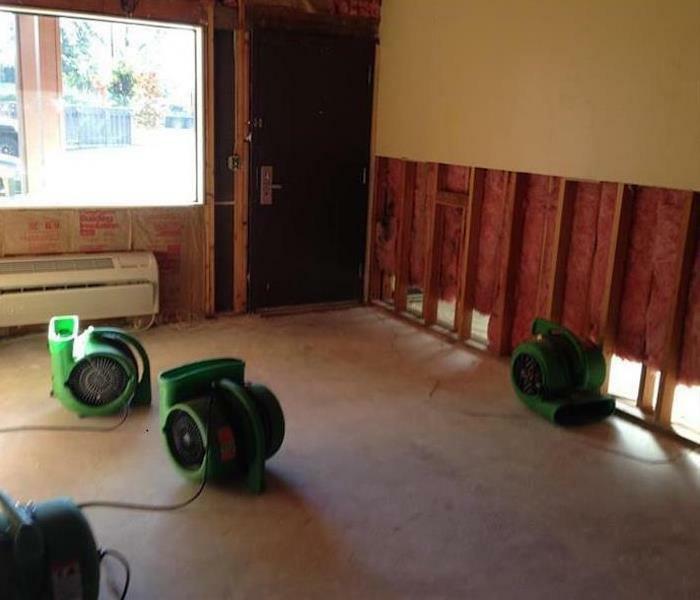 For the latest methods and equipment to mitigate water damage call SERVPRO of South Charlotte at (704) 333-7737.